Replay value” is a term you hear a lot in videogame writing. I will probably play the original Super Mario Bros., in some form or another, until I die (at which point I have requested that Mario’s “Death Sound” be played as my coffin is lowered into my grave). Yet, as I have accrued more and more games which I’ve long since beaten but continue to play, I’ve begun to wonder just how much replay value is at all reasonable to expect. GeoDefense (which I have gushed about and lamented over in equal measure in these pages) has been joined of late by games like Fallout Shelter, Tower Madness 2 and even, to a lesser extent, Words With Friends, all of which I have absolutely no business playing anymore but to which I still sacrifice countless commutes. As for Tower Madness 2, they’re promising new levels, which is great, but besides trying to battle a round or two further in endless mode, there’s really nothing left for me but the calm, repetitive action of dropping towers onto grass, desert sand and ice, and occasionally upgrading them. By now I’ve collected enough wool, the currency of the game, to buy the company that makes it. 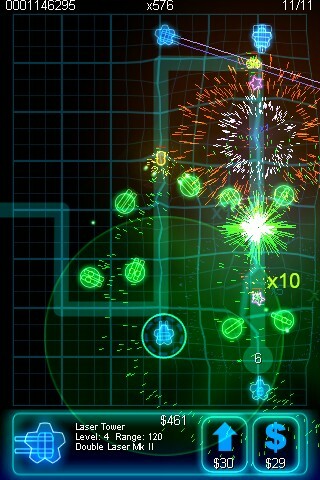 Perhaps they would sell me naming rights for one of the new levels. “Marrone Zone” would either be shaped like the bear head on the cover of R.E.M.’s Monster or simply consist of a single patch of grass, where one lonely tower would struggle against, and soon be consumed by, the never-ending alien horde. As you read this, you might be thinking that all I’m really saying here is that the replay value of these particular games might leave something to be desired, but it feels like so much more than that. As I’ve gotten older and have less time to seek out new games, replay value has become so essential to me that I squeeze blood from every last stone. For that reason, I wonder, could any game truly have satisfying replay value? I’m talking to the point where an obsessive, time-constrained (and lazy) casual gamer like me – one who clearly has unrealistic expectations attached to every nook and cranny of his life – will ever be assuaged? In Fallout Shelter, though, I have long since built a completely airtight and flourishing vault, where the population is maxed out, the firepower in my weapons cache is formidable and where there exists no existential fear of threat or motivation to improve efficiency in any way. 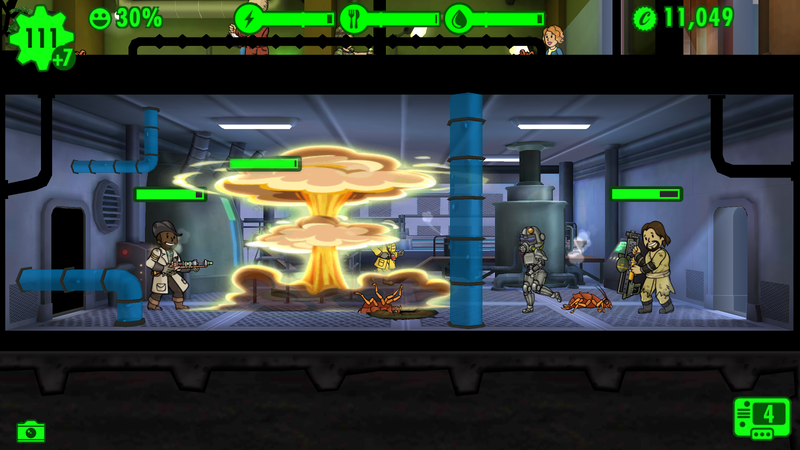 Playing Fallout Shelter now is just a series of endless tapping on resources to corral them into an already overflowing stockpile. Starting over and building up a new vault after all this time? That seems like even more of a chore. And, on a macro level, will I ever be satisfied with anything at all, period? I am faced with the slow, horrifying realization that the replay value of things in the real world has a shelf life, too. As a kid, season tickets at Yankee Stadium might have kept me happily occupied forever; if I had them, what more would I need, outside of possibly traveling with the team for road games? Blasphemy was a missed pitch. Nowadays, it’s my job and the familiar patterns hold far less magic. Sometimes I imagine quitting work altogether and becoming a stay-at-home dad. I love my kid. Ten months in and there’s quite a bit of story line left there. Plus, there’s always Kid B. But then what? Eventually, I’ll run out of replay value in their eyes and they’ll start playing videogames, too. One thing that most certainly has no replay value is being alive. Once the credits roll on that, you’re done. Which is good. 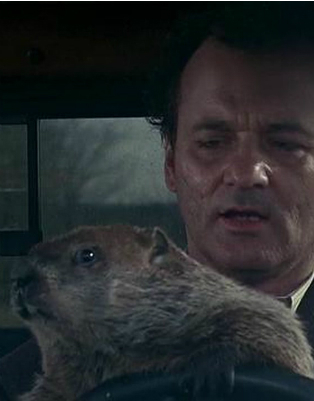 Groundhog Day is arguably the greatest film ever made, but would the joy of knowing you could finally move on to the next level be enough to wash away thousands of years of tedious replay? Would not your brain be mush after even a third or fourth Skyrim playthrough? And open-world adventure games in hi-def didn’t even exist back in 1993. All Bill Murray had was piano lessons, ice-sculpting and tossing playing cards into a hat. So you see the depths of my dilemma. We can’t hold on to things forever, however we might want to. Even the Rookie of the Year must someday face his Sophomore Season (not this particular Rookie of the Year, of course, but the other ones). I guess what it means is I’ll just have to enjoy every game while it lasts. And then find as much replay value as I can in beating a dead horse. Again and again and again and again. At least until Mario’s “Death Sound” mercifully plays me off the stage.